Styleforum, meet the legendary Roycru. He’s well-known in the Classic Menswear WAYWT thread for his classic American style that has remained largely unchanged since the 60’s, as well as for his photos of trains. Here, he talks about receiving compliments, and about his own enduring style. We have all received compliments on what we are wearing from totally random people on the street. People often say things like “nice vintage clothes” to me. I always thank them and then mention the clothes I am wearing were new when I got them. 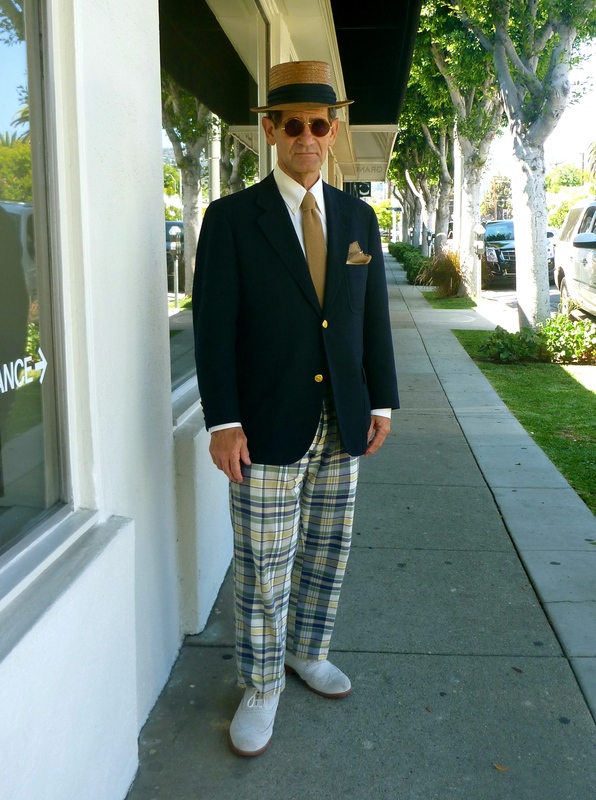 I am still wearing clothes I got at Brooks Brothers in the sixties and seventies. The only alterations that have been needed were shortening the trousers two inches as my discs degenerated and patching some holes in the linings and a few other places. A good example is the brown herringbone tweed suit I got at the Brooks Brothers store on Post and Grant in San Francisco in the fall of 1965 when I was working for the Santa Fe Railway in San Francisco. The first picture was taken in a photo booth in 1965 shortly after I got the suit. At that time, I usually wore the suit with a yellow OCBD shirt and a green challis tie as in this picture. The second picture was taken on the train in February 1969 during one of the the two times I tried to grow a mustache. Both times it ended up the same way, getting partly shaved off while I was shaving on the train and the train hit a low rail joint at high speed so I had to shave the rest of it off. The third picture was taken buying a Dundee Cake in December 2012 before I had the trousers shortened two inches. (Yes, I am wearing a Gryffindor tie). The fourth picture was taken getting on a train in December 2016. 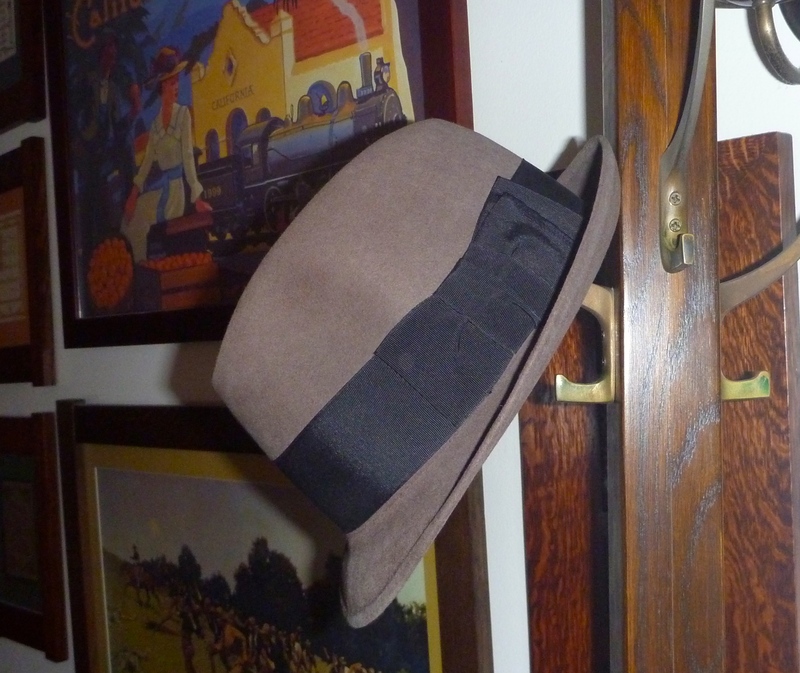 Below is the straw hat I got at Brooks Brothers in 1965. This picture was taken in August 2013. 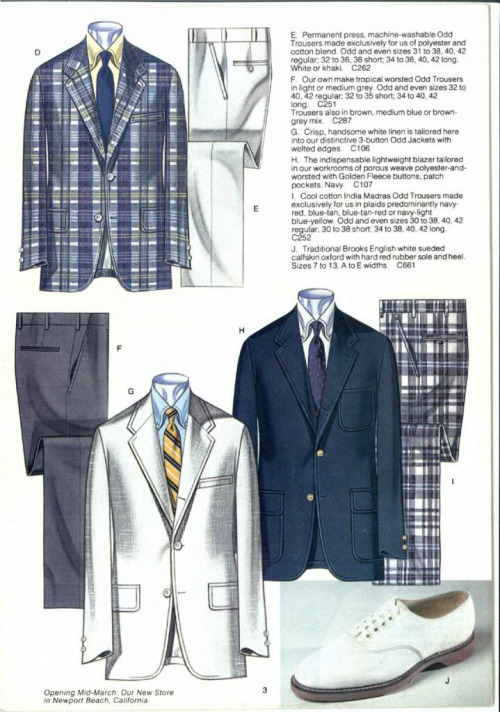 I am wearing a blue blazer I got at Brooks Brothers in that wonderful pre-“Official Preppy Handbook” era when no one imagined polyester was evil. The OPH ruined everything after 1980 because some people didn’t know it was a humor book and thought it was a fashion book, an error nearly as serious as not knowing “To Serve Man” was a cookbook. The modern wonder of the internet (particularly groups like Styleforum) lets us see what people all over the world are wearing. I like seeing what other people are wearing and also seeing (in some people’s pictures) what it looks like in other places. The modern wonder of the internet also lets people easily share knowledge. I have found vast amounts of useful information on Styleforum. The large number of people who post on Styleforum although English is not their first language is particularly impressive to me. Styleforum is my favorite online men’s style group. This entry was posted in Member Focus, Style and tagged member focus, roycru by Styleforum Editors. Bookmark the permalink. I always enjoy your writing and this is no exception. Great article, sir! Roycru is who I want to be when I grow up. Well done, sir. You are a true asset to S.F. I actually have a polyester hopsack blazer from that period as well, and the fabric is incredibly breathable and holds its shape phenomenally. And it looks great! Thank you for this great write-up! This is one of my favorite posts. I mean yeah, we always talk about wanting our clothes to last us years and years, but to actually see someone wearing the same clothes in a picture progression over over 50 years blew my mind a little. To see that he hasn’t changed his size in that many years either – damn. I admire Roycru’s consistent ability to find interesting and whimsical spots and companions for his photos. We might all take his advice to simply ask people to take a photo of us. Oh, and is it me or does he actually walk places in LA?